The ancient Greeks are widely seen as having been the founders of Western medicine more than 2,000 years ago. But since then our understanding of the human body and how to treat it has changed beyond recognition. So what would be the point of studying ancient Greek medicine today? It’s part of a more general question: why bother studying medicine from times before people knew about germs, antibiotics, the circulation of the blood, or anaesthetics? Although we now have a far more detailed and accurate picture of medicine, I think the ancient Greeks can help us think through a number of topics that are still relevant today. The idea that we might uncover an unknown treatment in a forgotten treatise looks like a promising reason to study the ancient Greeks. But it’s not that simple. Yes, it’s possible that a forgotten plant used in the ancient world will prove to be the basis for a new drug today but that hasn’t happened yet. It would have to get through the various stages of testing that we now regard as essential, and that’s not always straightforward. And ancient Greece was not some golden age of simple, safe medicine. Some treatments such as womb fumigation were unpleasantly invasive. Others used very dangerous materials such as hellebore. However, drugs weren’t the starting point of ancient medicine. First came diet, in the broad sense of your whole way of life, including food, drink, exercise, excrement and sleep. Health was seen as the balance of different fluids in the body. The focus on diet was never a call to eat raw foods, whatever the claims of modern charlatans who use the name of the ancient Greek doctor Hippocrates to sell their diet regimes. A patient’s condition was thought to result not just from the balance of their body, but from how that body relates to the environment. With diseases related to obesity and mental health today taking an increasing amount of doctors’ time, it’s not surprising medicine is turning more and more to a Greek-style holistic approach. While using ancient Greek medicine as a source of remedies is problematic, drawing on it to understand the doctor/patient relationship is more straightforward. We still say, “Trust me, I’m a doctor”. But there was clearly a lot of unease about doctors in the ancient world. They weren’t family members so it felt risky to let them near your body, especially when you weren’t feeling very strong. Being ill was seen as a loss of self-control and therefore damaging to a man’s masculinity. To gain a patient’s trust, a doctor had to make sure his image was right. Today it’s the white coat. In ancient Greece it was all about wearing plain, simple clothing, avoiding strong perfumes and never quoting the poets at the patient’s bedside. If you’ve read any Greek tragedy, you’ll see why not. When you are feeling ill, it isn’t cheering to hear “Death is the only water to wash away this dirt” or “alone in my misery I would crawl, dragging my wretched foot”. As a doctor, you needed to understand what your patients were thinking, and help them to trust you. And if they trusted you, then they’d take the remedies. Medicine isn’t some linear process in which we move steadily towards “The Truth”. It has its ups and downs, and new discoveries don’t always catch on. Human dissection as a way of finding out how the body works was carried out in the third century BC but was then abandoned for hundreds of years. With this in mind, we can study why particular methods of treatment are adopted or resisted. 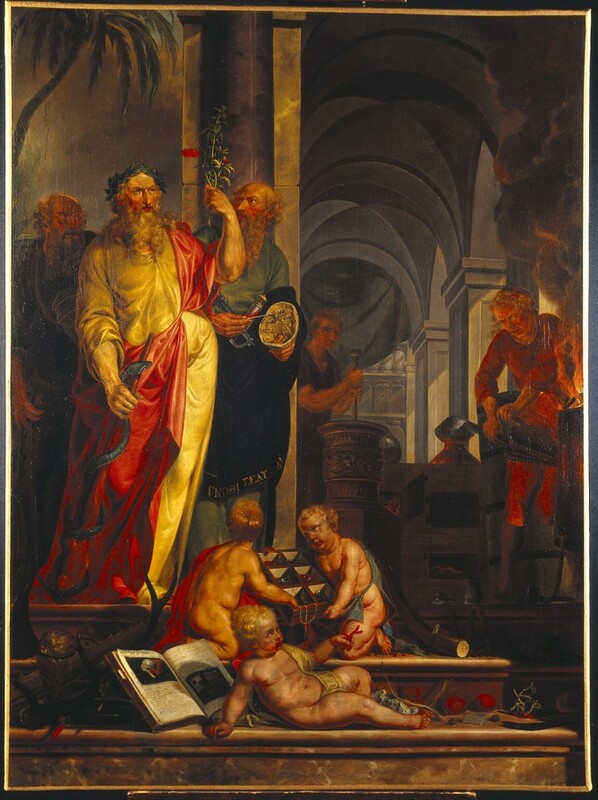 Roman medicine seems to have been a simple, home-based approach with the head of the family collecting and applying remedies. When Greek medicine began to take over in Rome, it was not an instant success: a story about an early Greek doctor in Rome labels him “The Butcher”. Greek medicine’s eventual triumph was not because it was “better”. It may have been the appeal of a fashionable practice. Or because it was based outside the family. Or it may have been due to the fact it had explanations attached rather than relying entirely on trust in authority. Why me? Why now? Ancient religion blamed the gods, or your failings in not honouring the right one in the right way. Ancient medicine also explained illness in terms of what you had done wrong, but it pointed less to moral failings and instead to eating the wrong foods, or taking too much or too little exercise. The time of year, the location of your home, or the prevailing wind could all play a part in diagnosis. Once we know “why”, we can find out what to do to get better. Ancient medicine suggests that putting the blame only on the patient won’t help, something modern medicine is just starting to realise. People are more likely to have a positive attitude if they can look to a “why?” that’s outside themselves. Perhaps I’m biased on this point: my pregnant mother turned down the offer of a prescription of thalidomide, a drug that used to be prescribed for morning sickness but was eventually discovered to severely damage unborn children. Medicine gets it wrong. We’d be naive to think that everything we do now is right. The ancient Greeks thought they had the answers. So do we. Looking at a medical system so different from our own, but one which lasted for many centuries, teaches us that we should never accept anything without challenging it and without being prepared to rethink if new evidence comes along. But the Greeks also teach us that medicine needs to make sense to its audience. It was not like our quest for “a pill for every ill”, the same treatment for a disease regardless of the patient. It was holistic, preventative, and tailored to the individual. Similarly, in the wake of modern genetic studies, customising medicine to each person has become a focus of medicine once more. We can learn a lot from the ancient Greeks. Are they trying to make us scared? Thats nothing new.